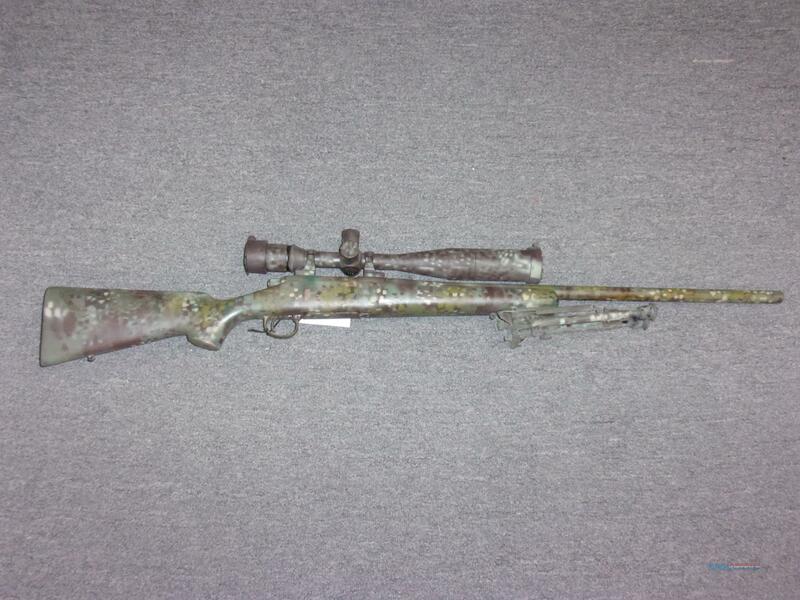 Description: This USED Remington 700 is chambered in .308 win and has a 24" barrel. It is a left hand model. It has a "custom" camo paint job on the gun and scope. It has a 4 round capacity and comes with a Nikon Monarch 5-20X44 scope and a bi-pod.